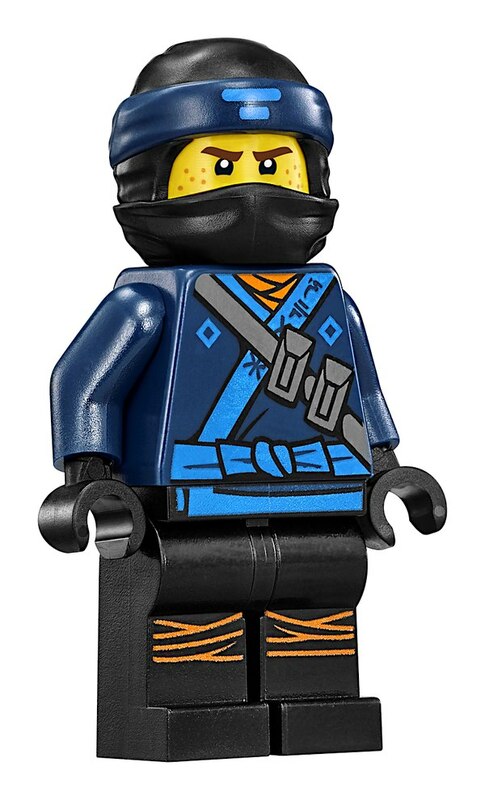 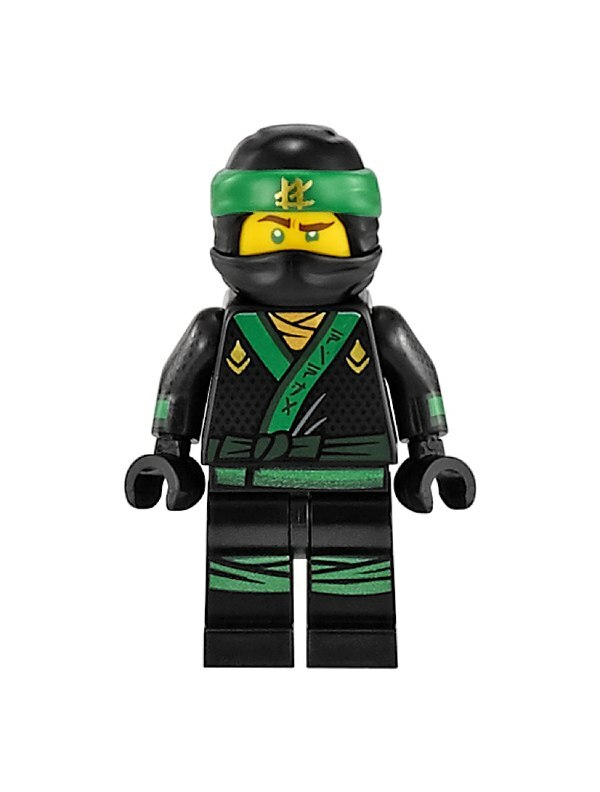 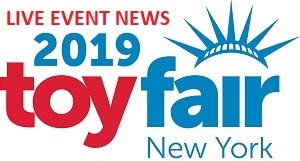 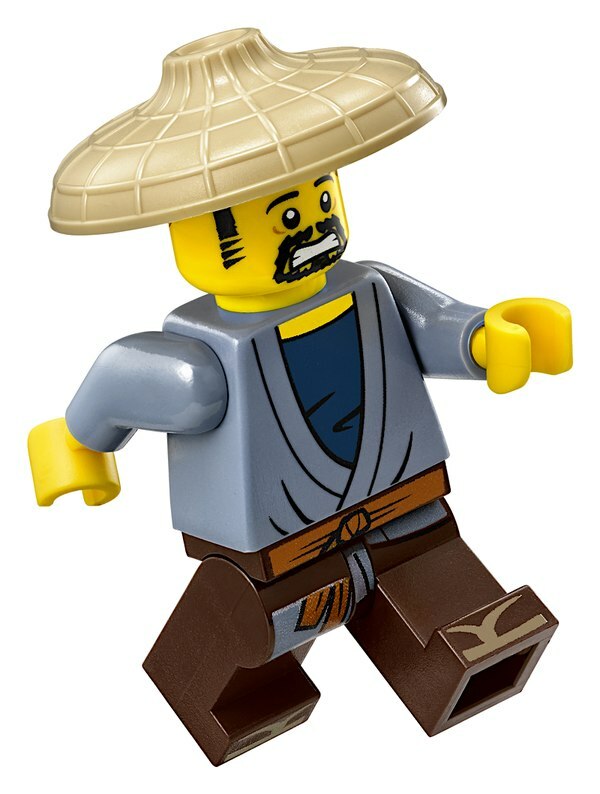 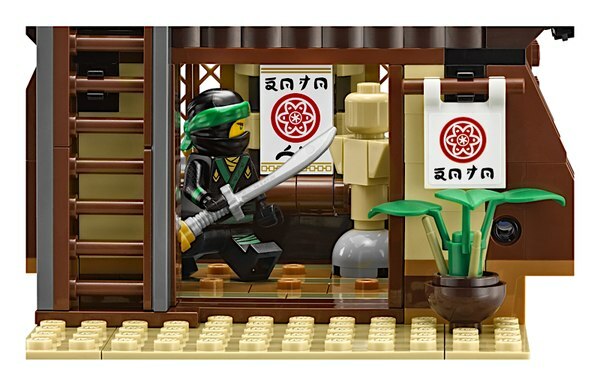 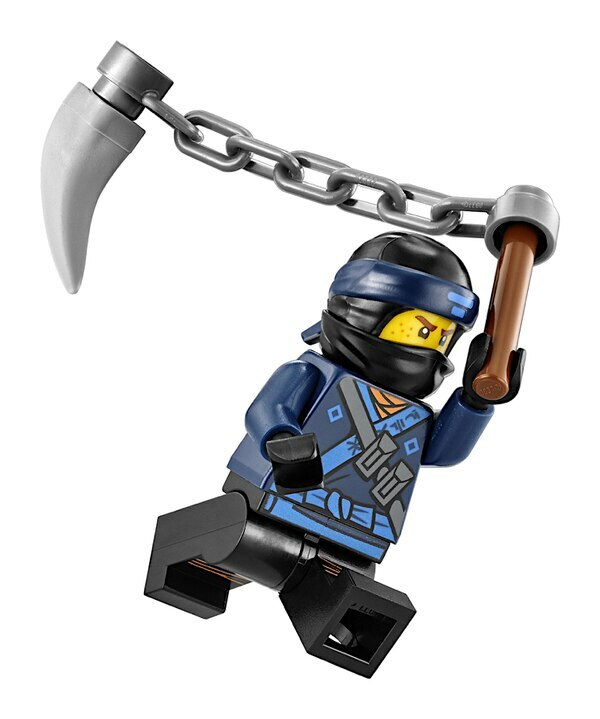 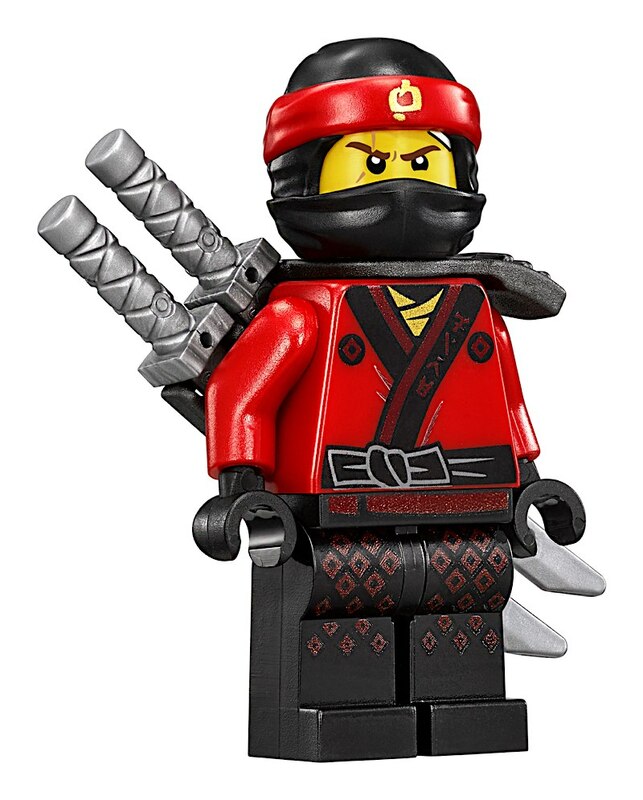 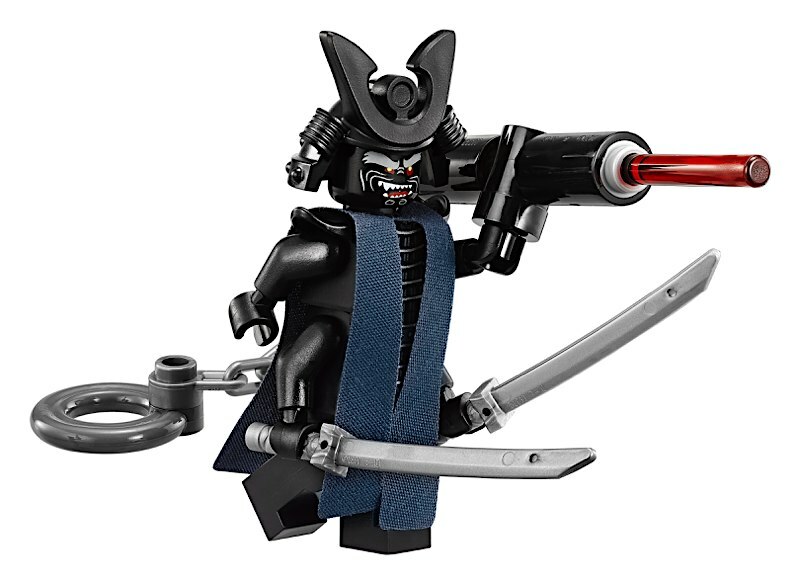 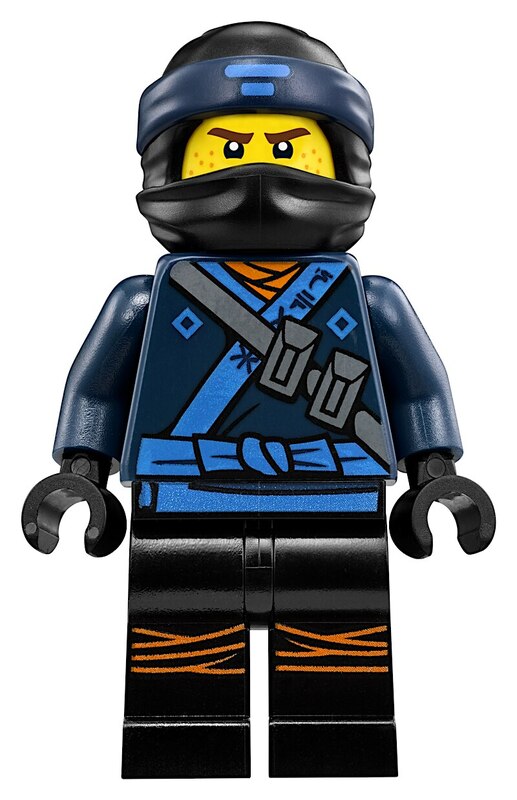 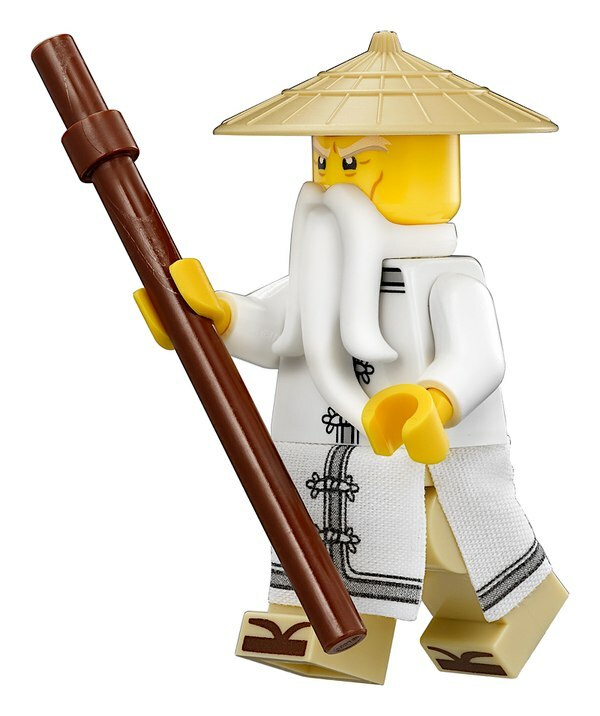 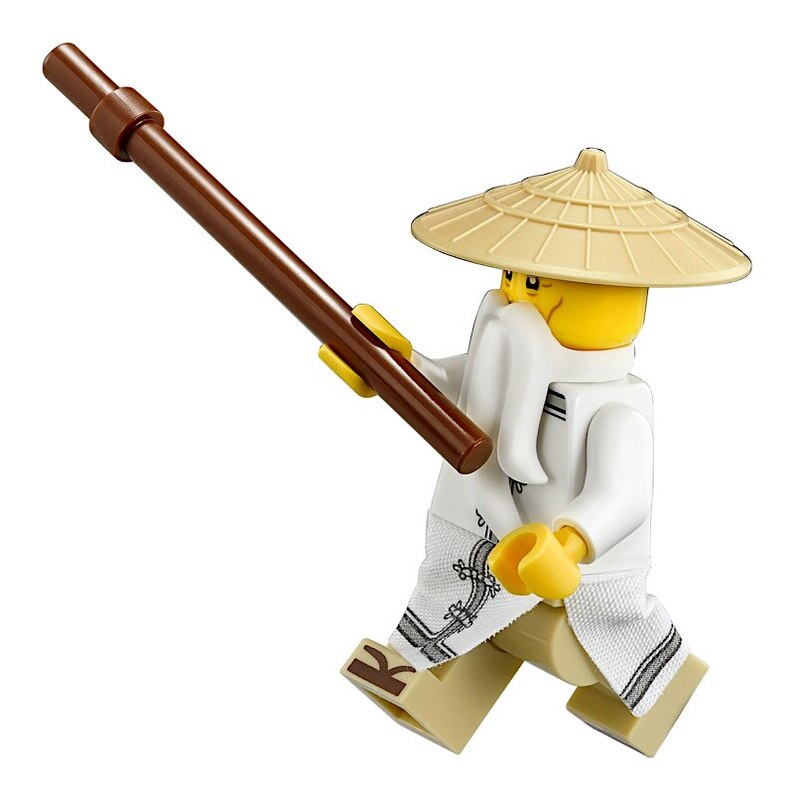 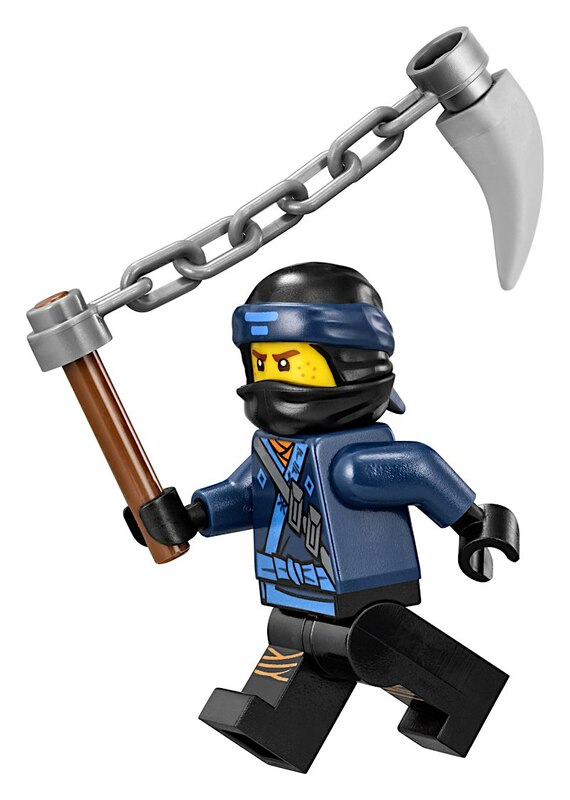 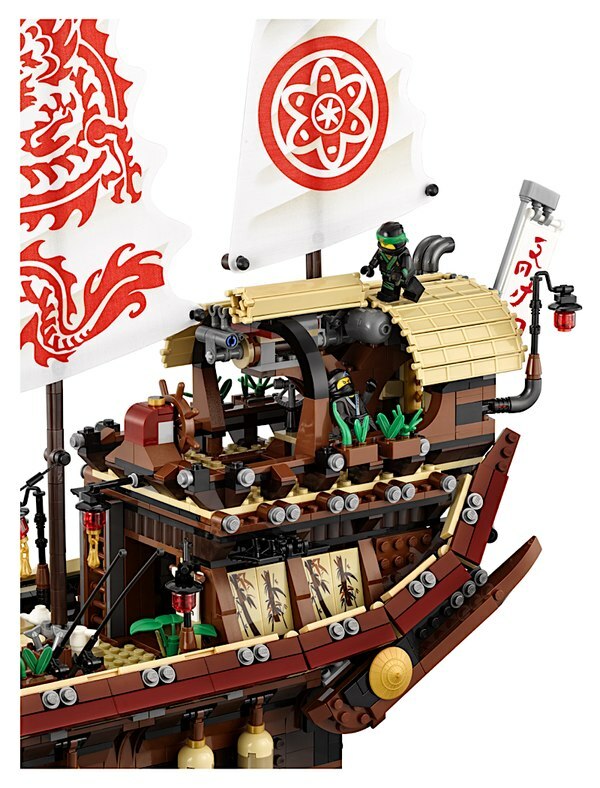 Yesterday we showed you the upcoming Lego Ninjago Movie City set and now we have images and details for 5 addtional sets coming from LEGO. 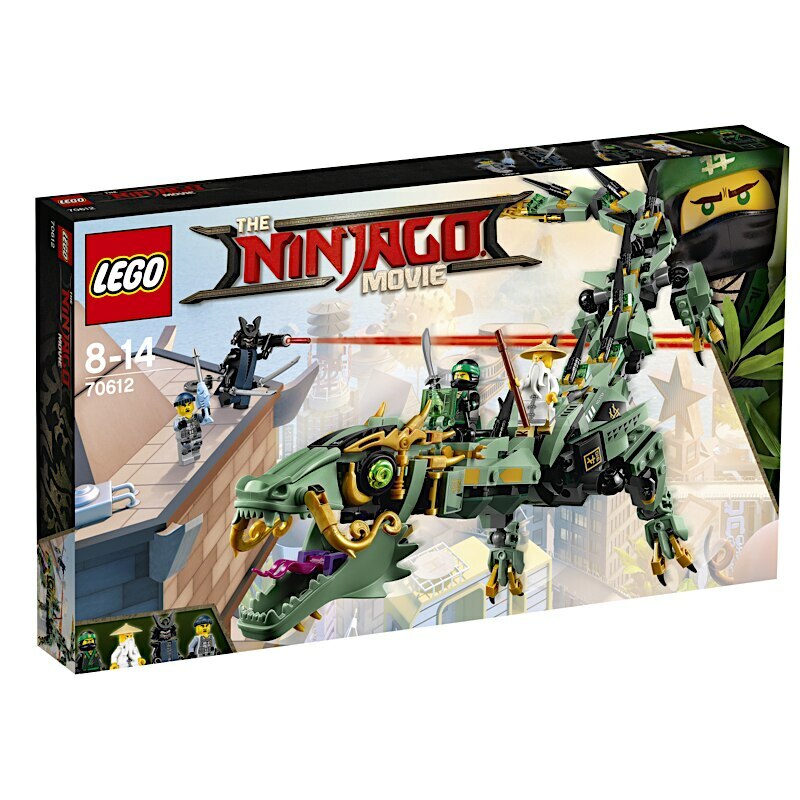 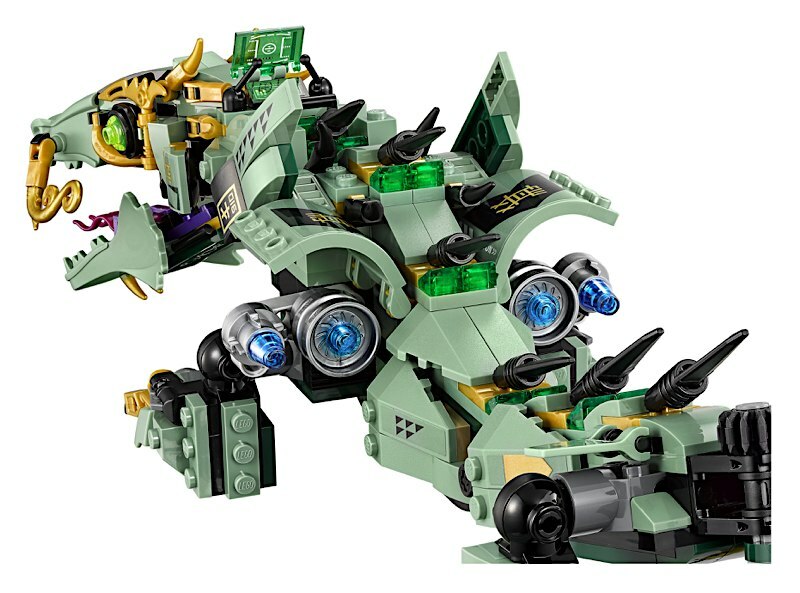 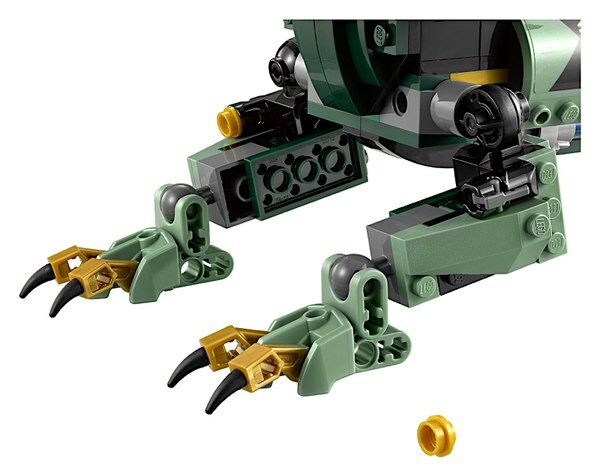 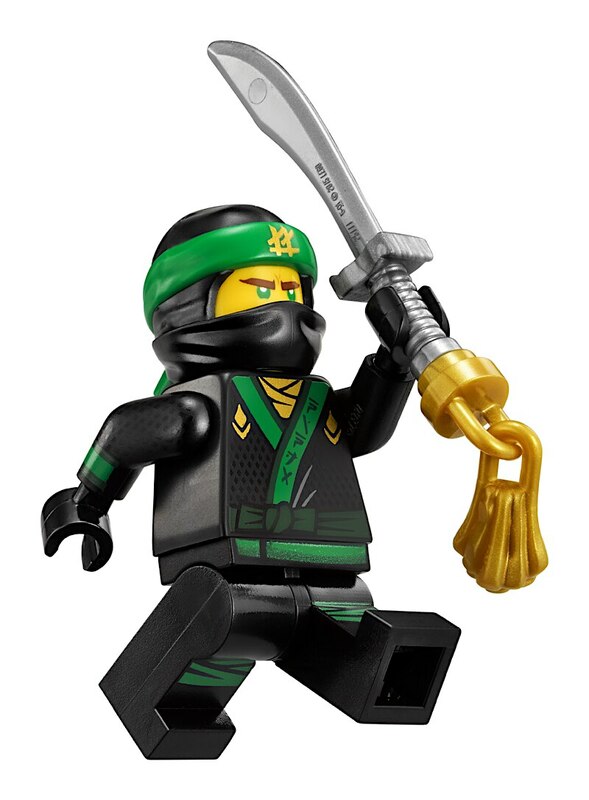 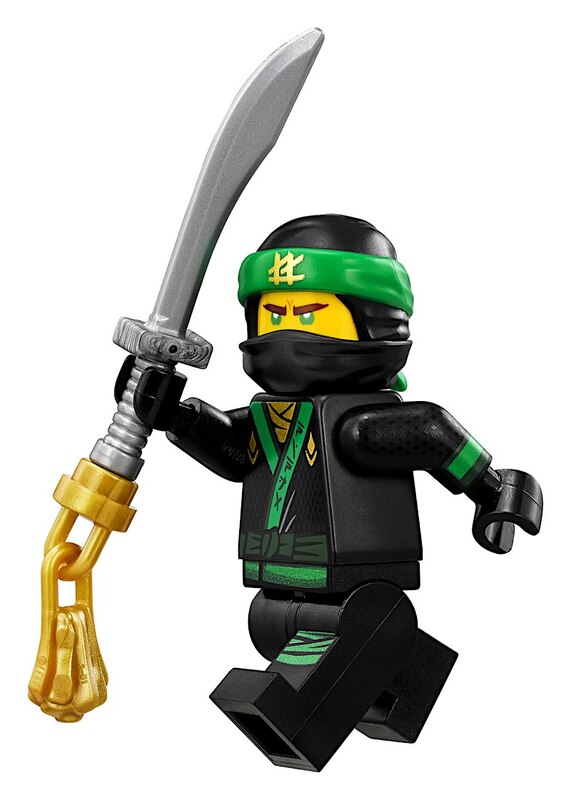 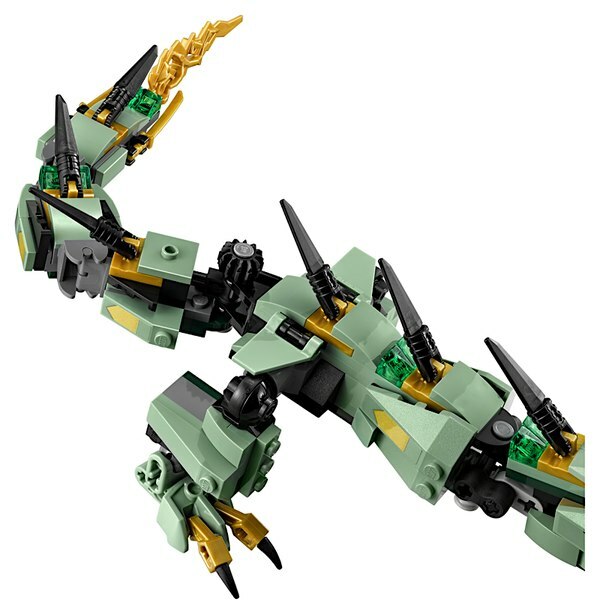 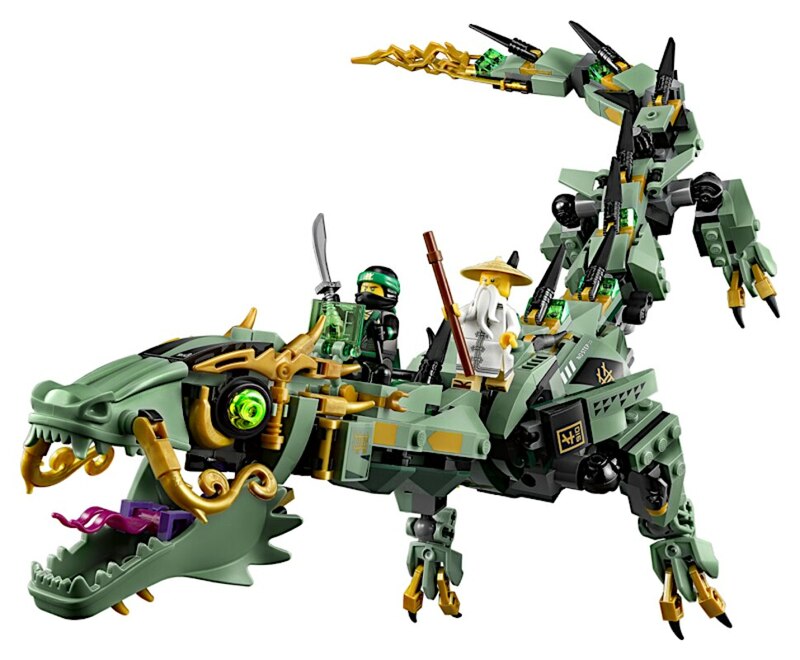 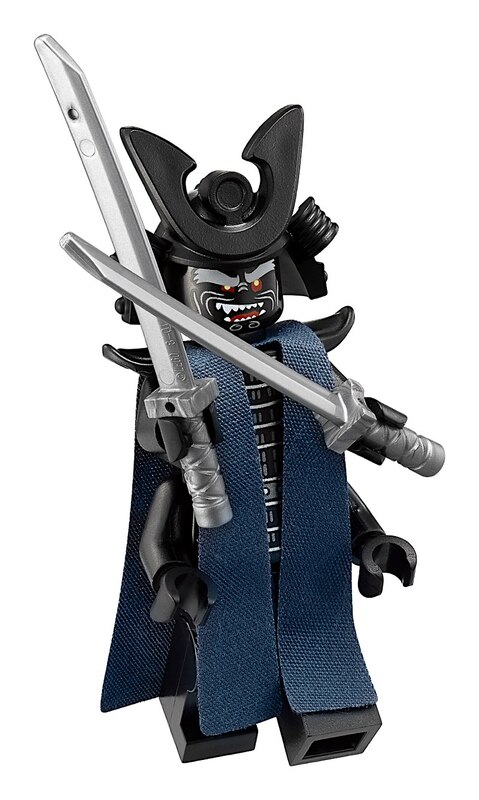 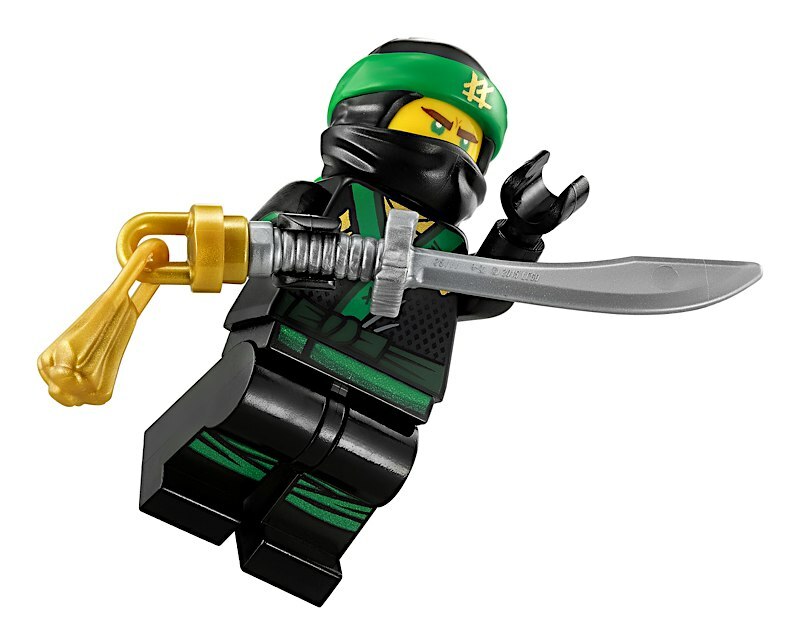 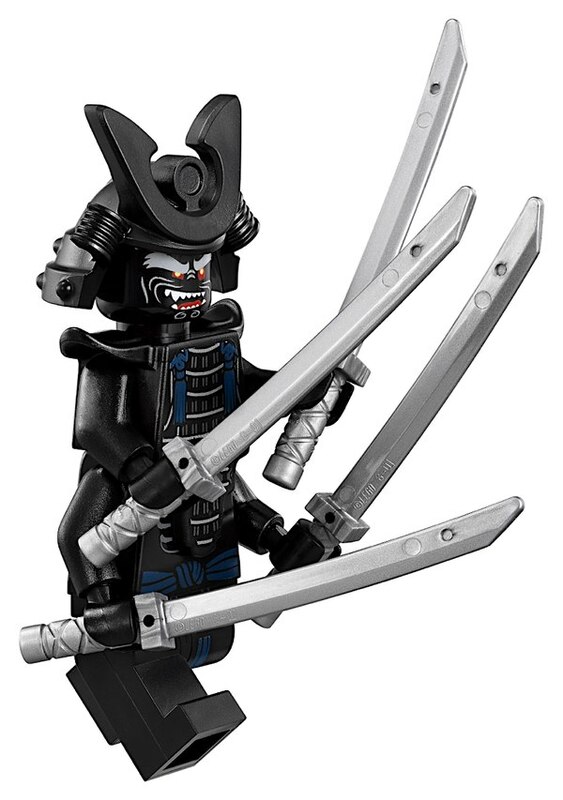 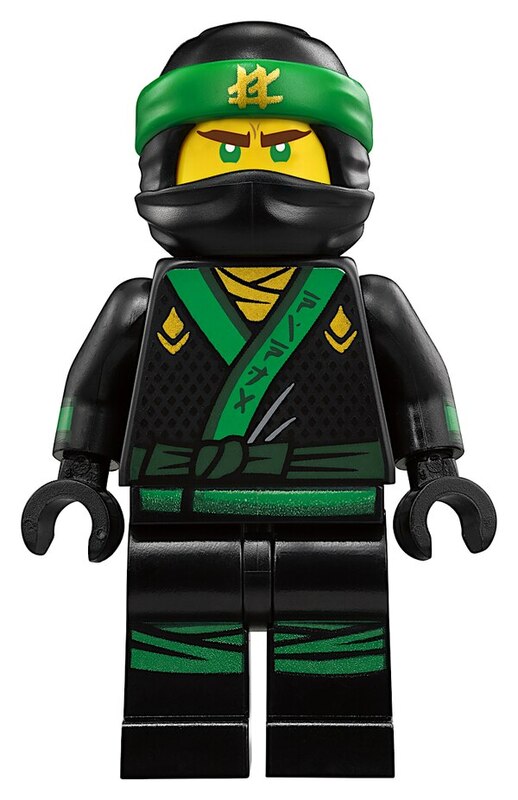 Outwit the Green Ninja’s evil father Garmadon with this mighty mech featuring articulated snapping jaws, poseable body, wheel-activated swooshing tail, 2 leg-mounted stud shooters, hidden pop-out thrusters, 4 minifigures with assorted tools- including The Green Ninja’s sword and Garmadon’s laser-style pointer. 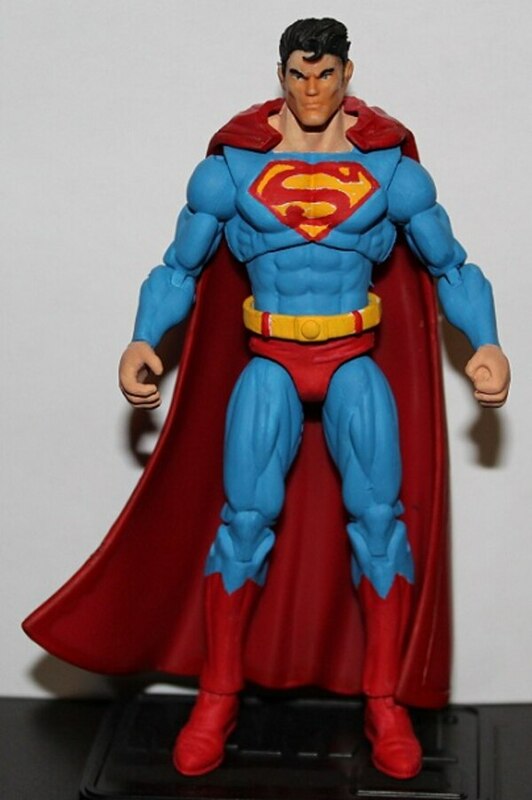 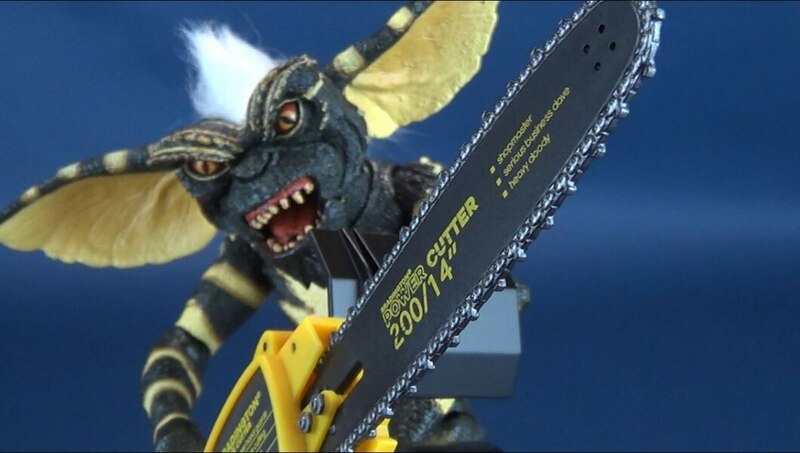 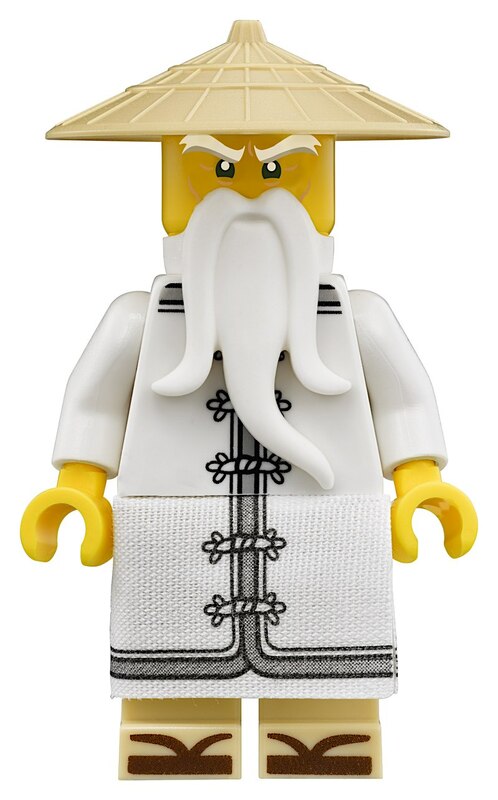 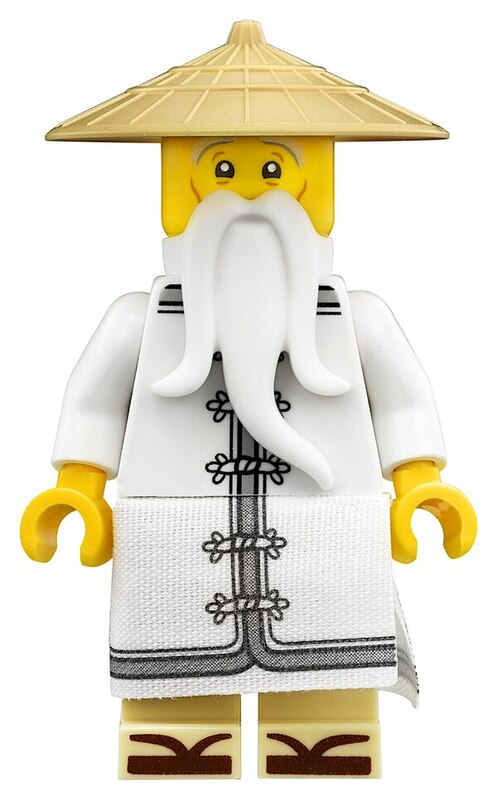 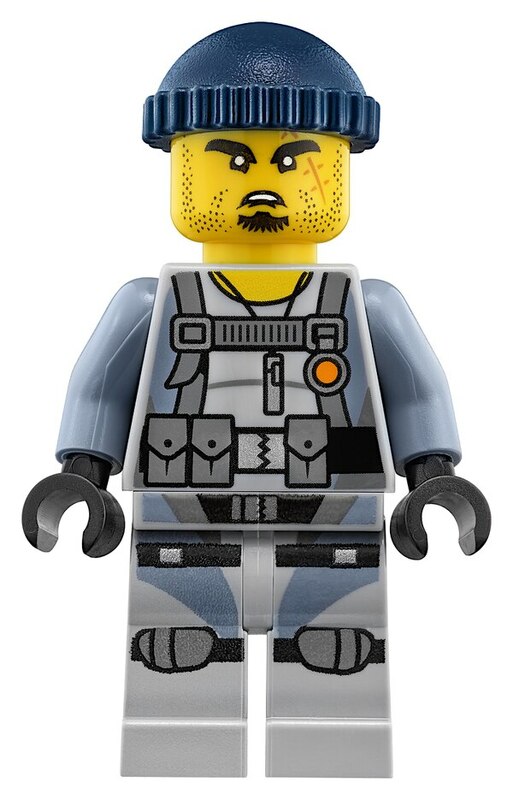 Available at specialty and mass retail stores, LEGO brand retail stores. 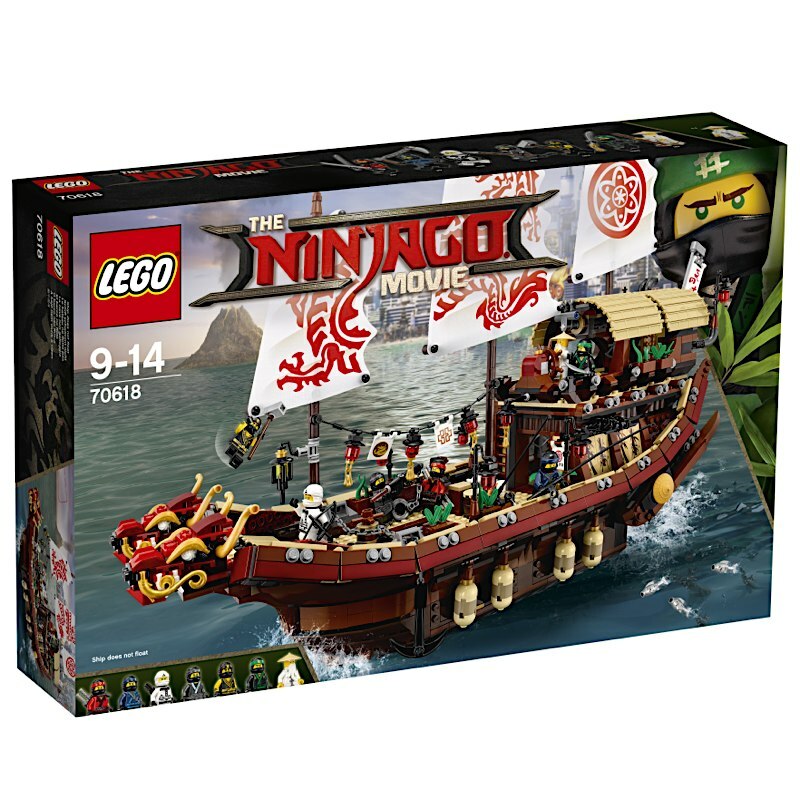 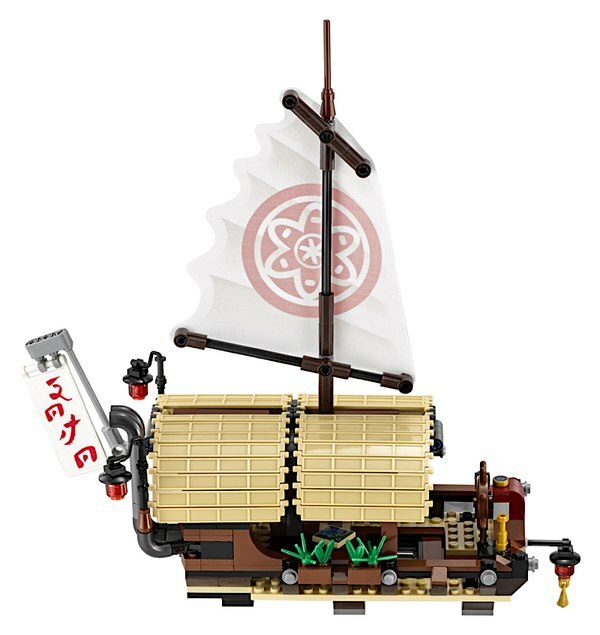 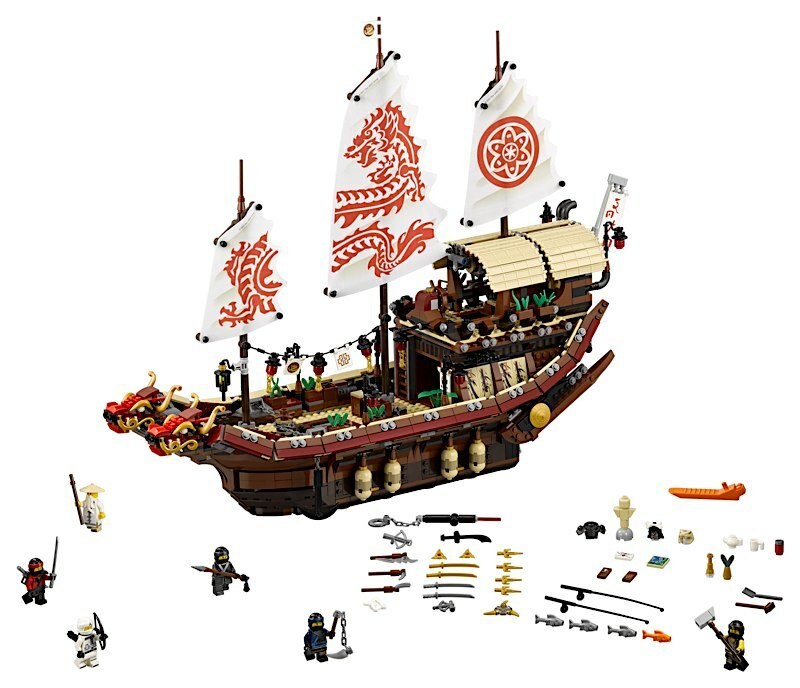 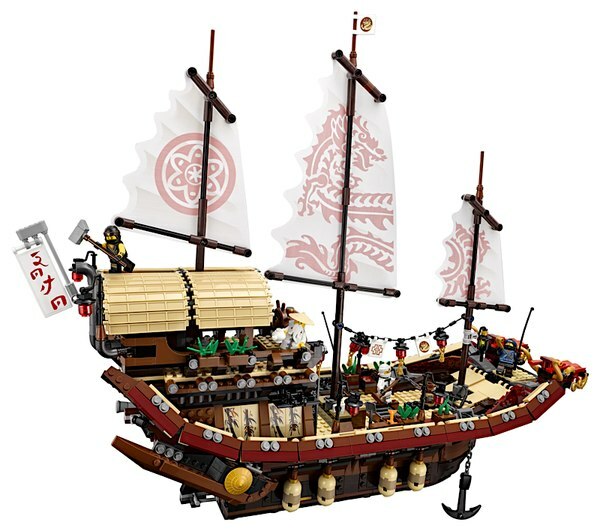 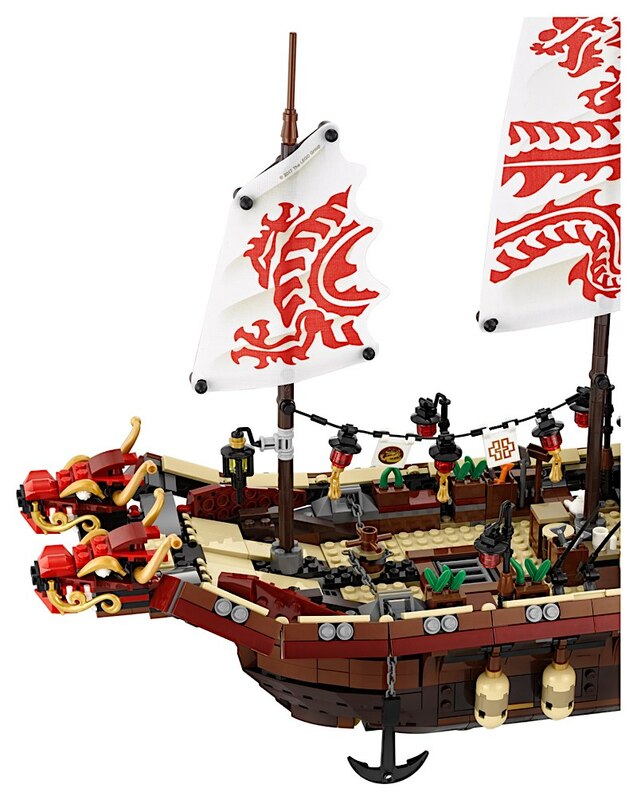 Construct Wu’s huge training base in this highly detailed set featuring 3 modular levels and a double-headed dragon, wind-up-and-release anchors, training dojo, bathroom and Wu’s bedroom in the hull – not to mention many hidden secrets. 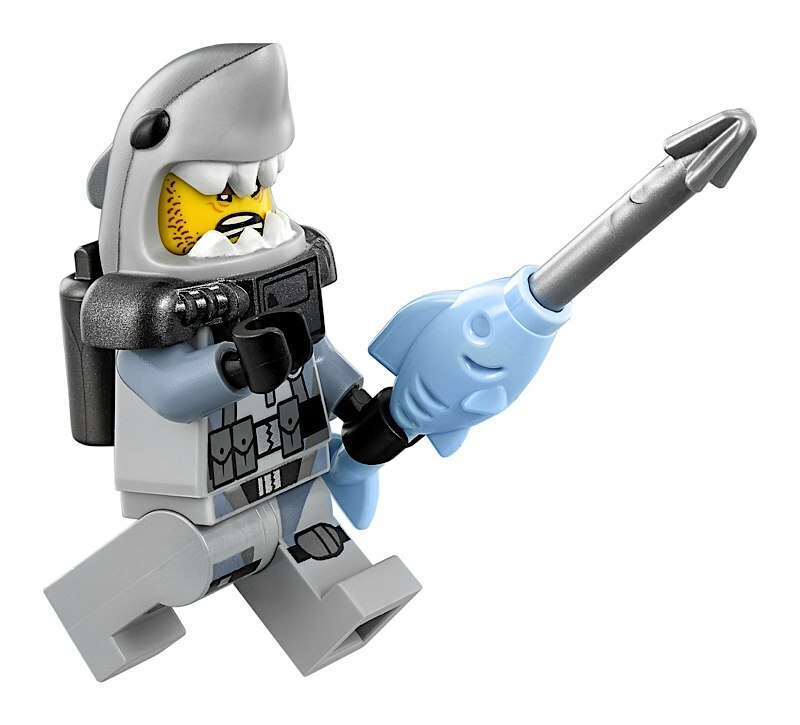 Join Jay in battle against the shark army and protect Takuma’s boat from flying Jelly Sub attacks. 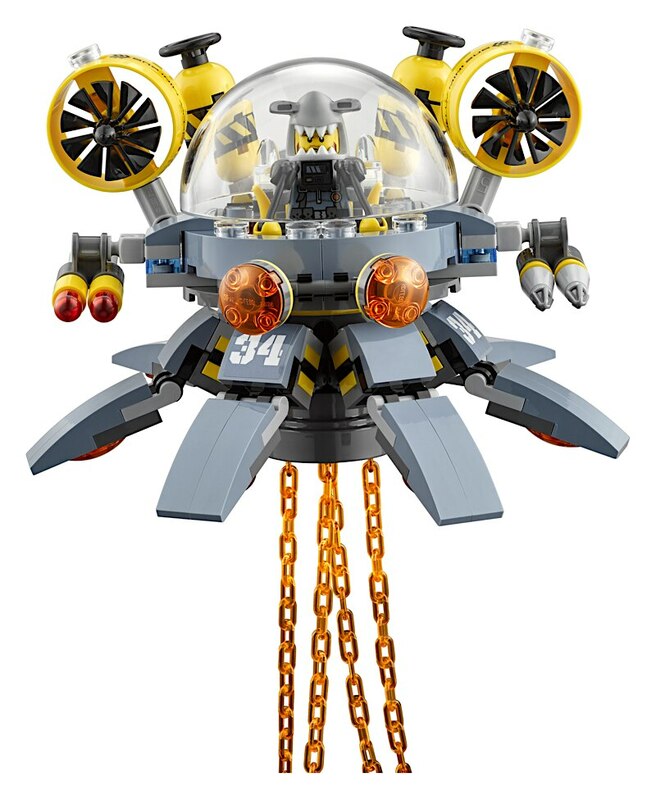 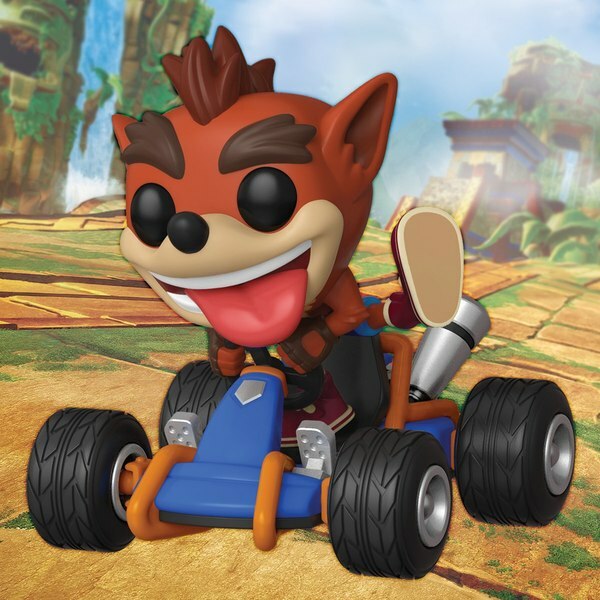 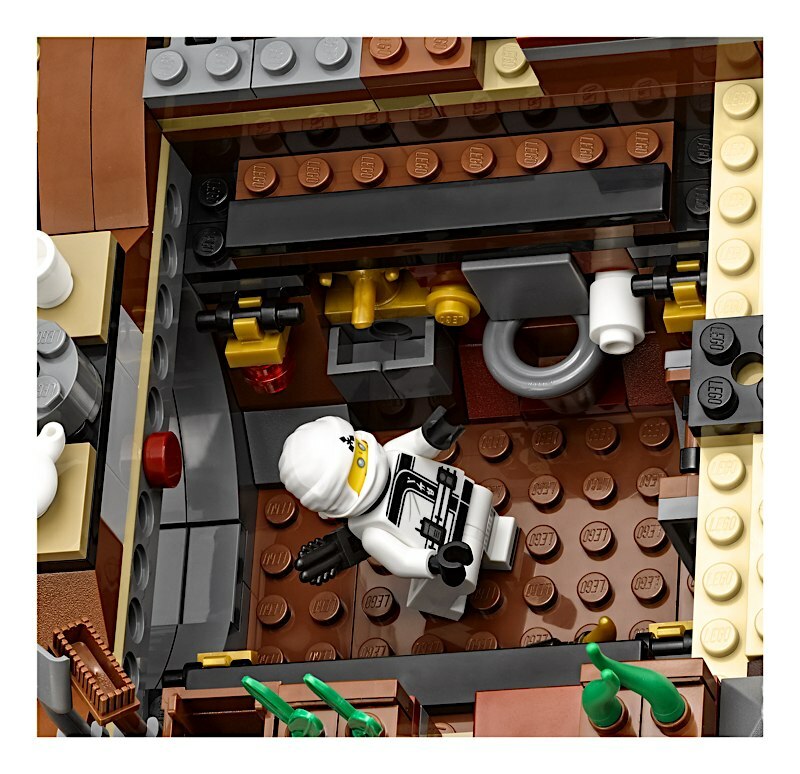 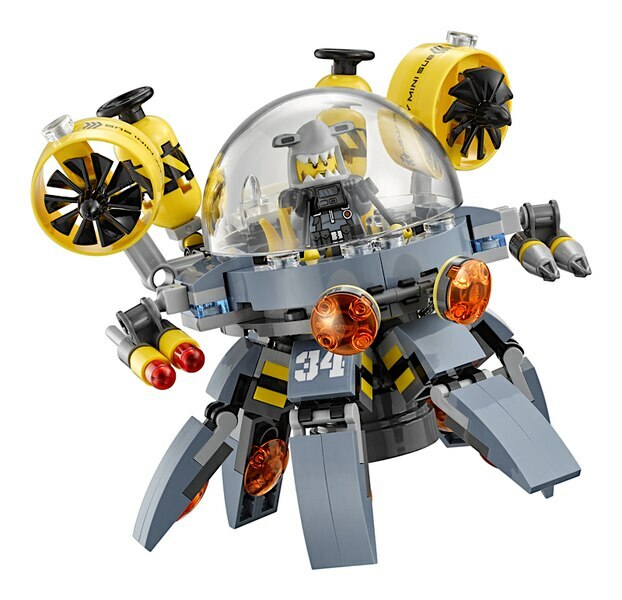 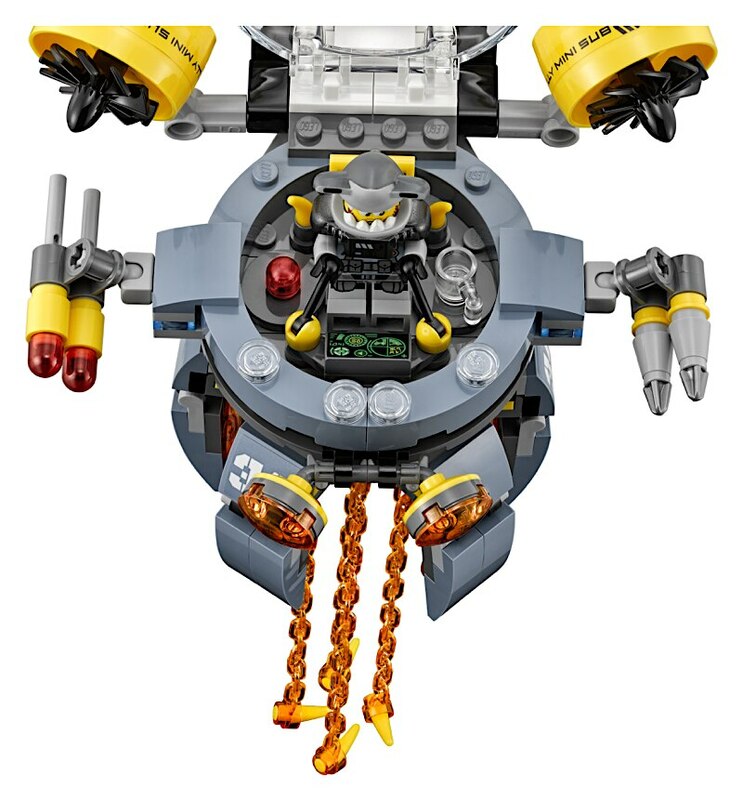 Sub features minifigure cockpit, boat, rotating legs, flick-fire missiles, swinging tentacles and 4 minifigures with assorted tools to add to the battle role-play options. 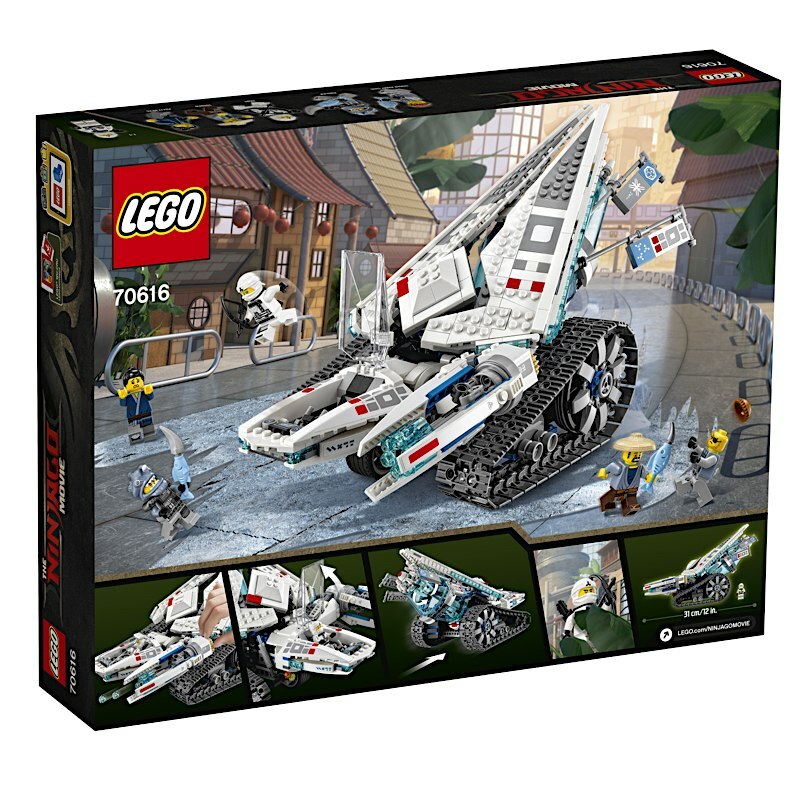 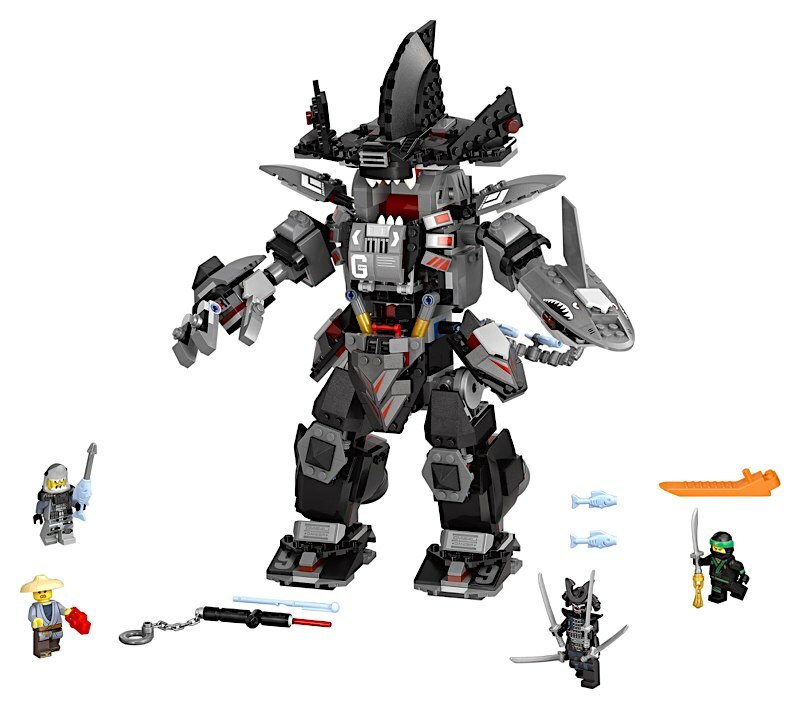 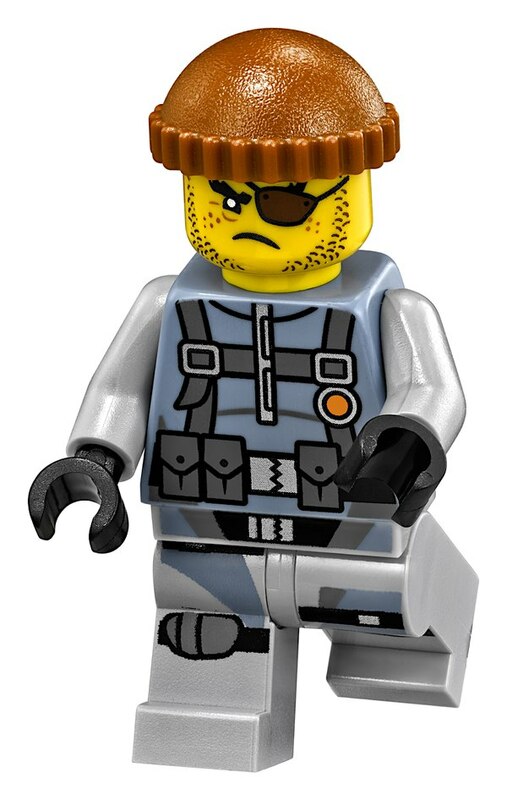 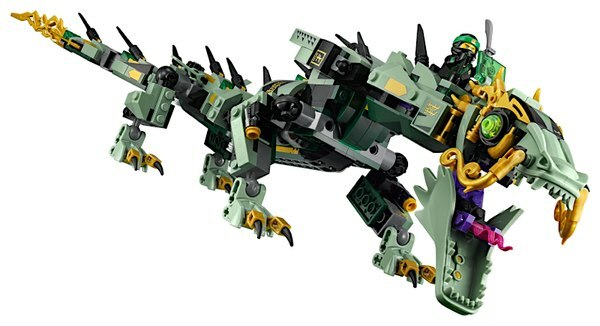 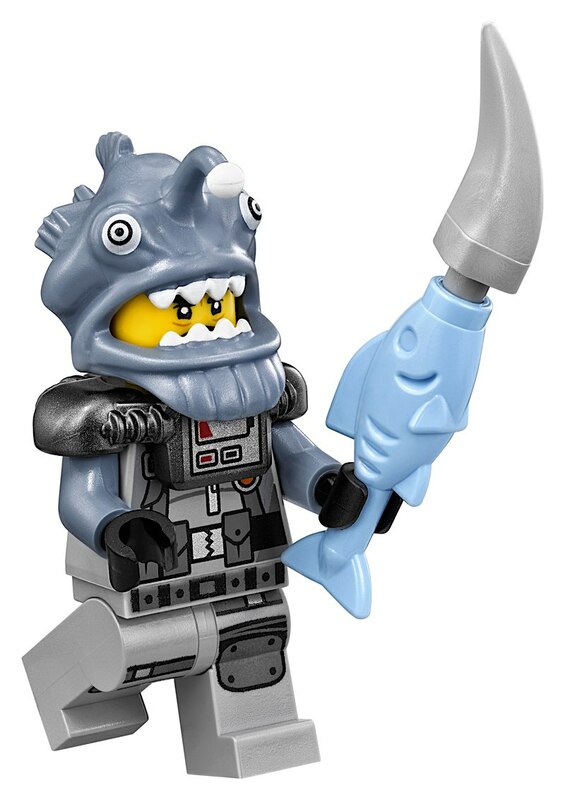 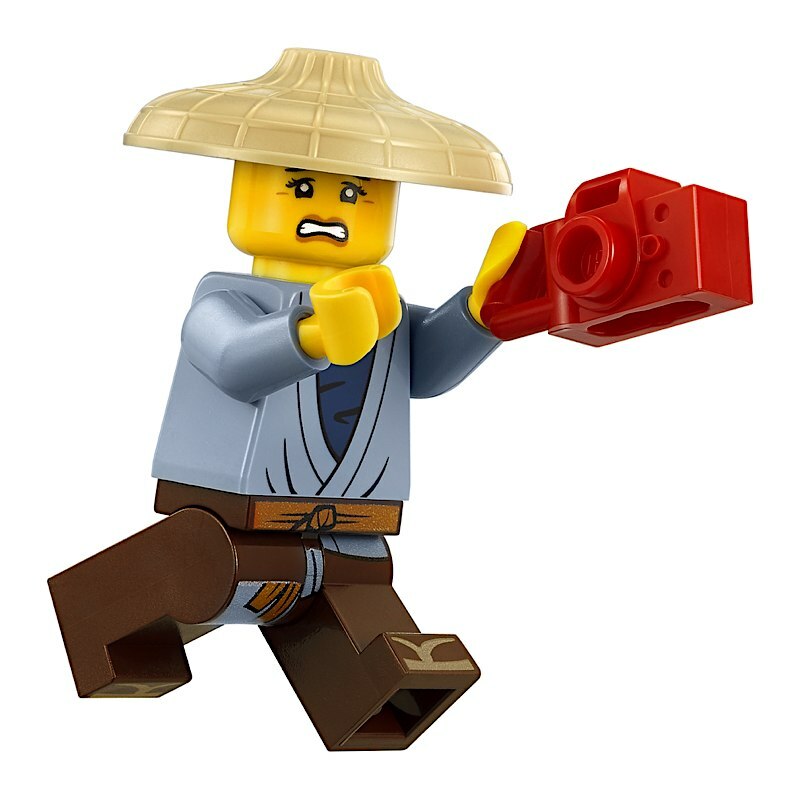 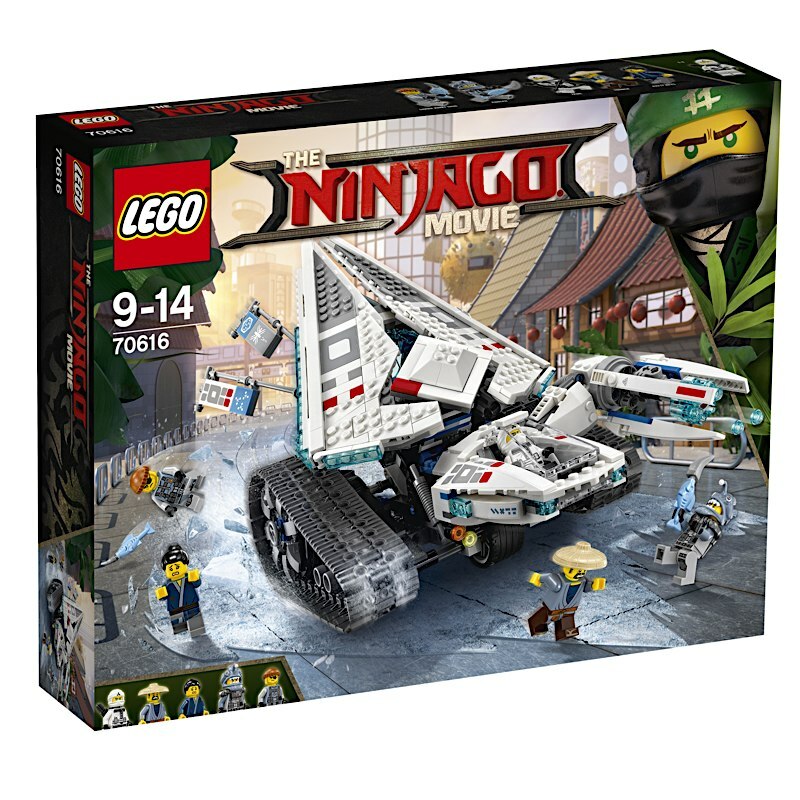 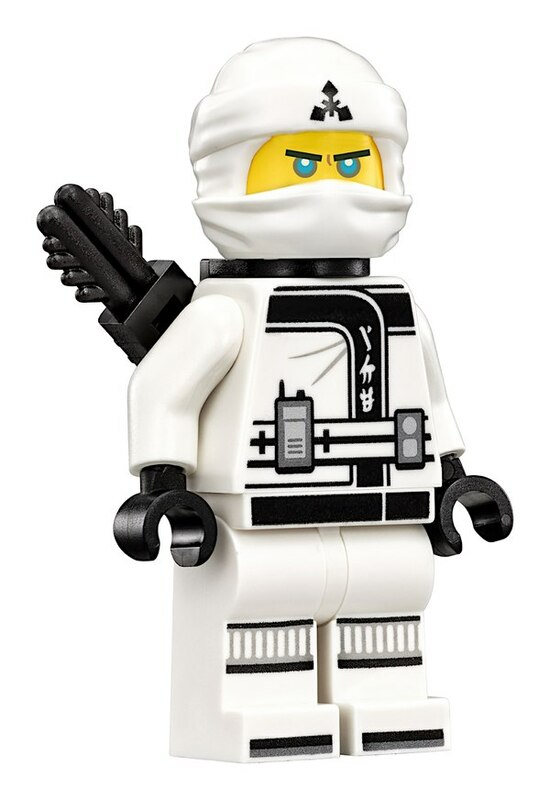 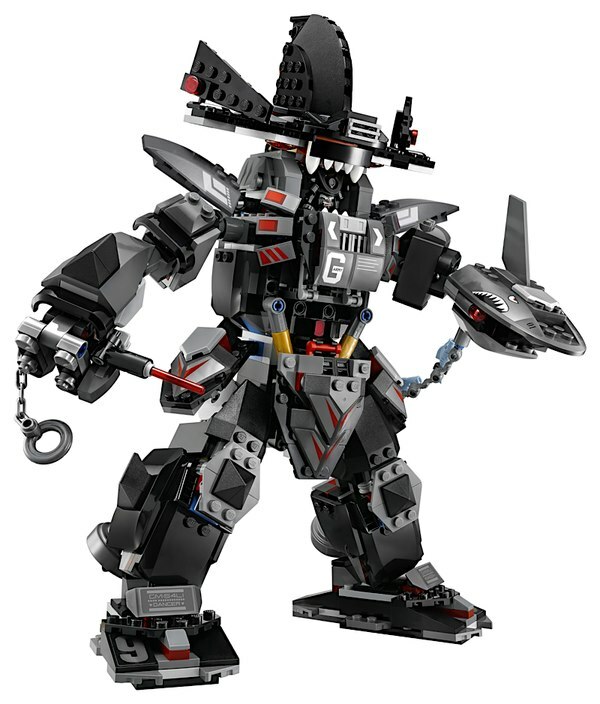 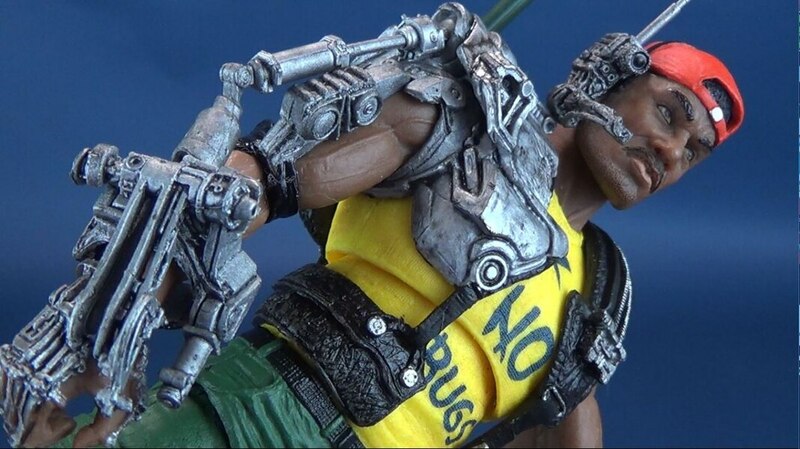 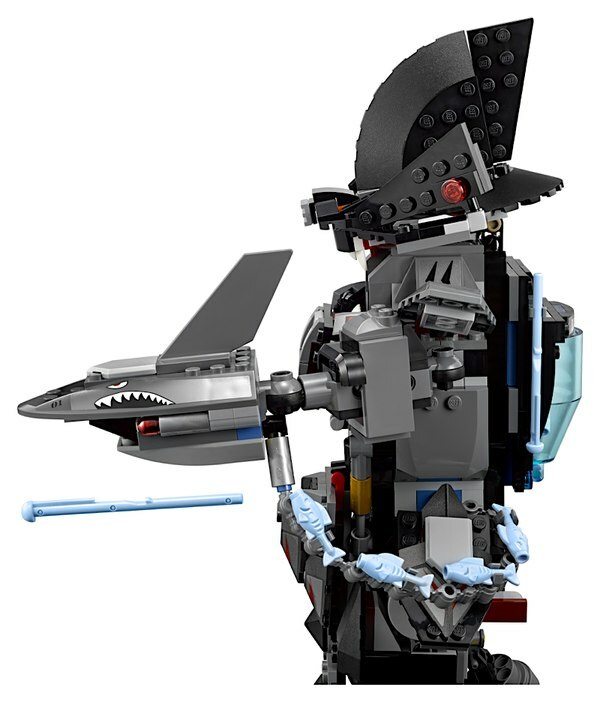 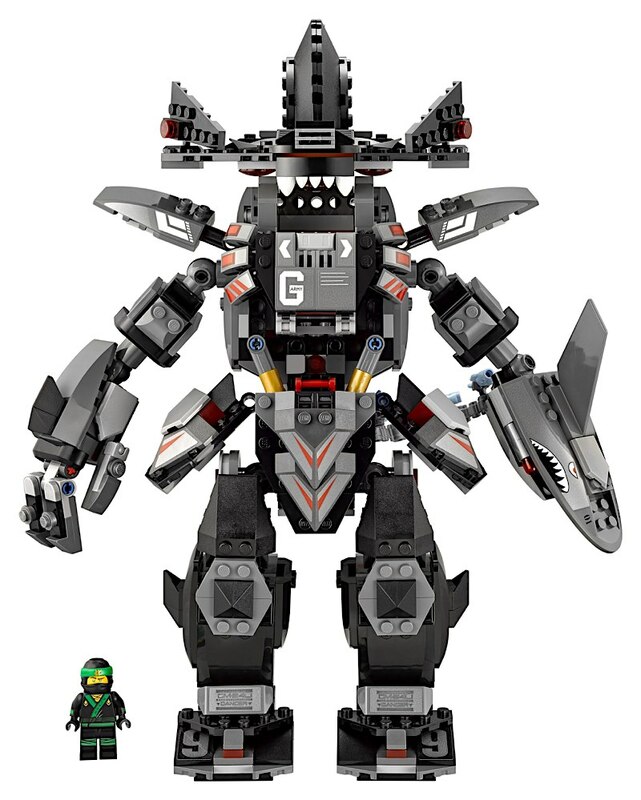 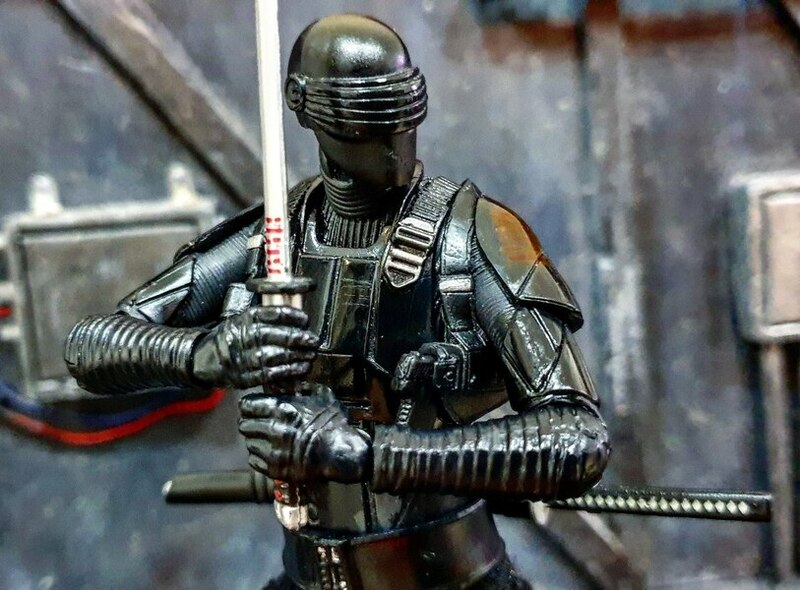 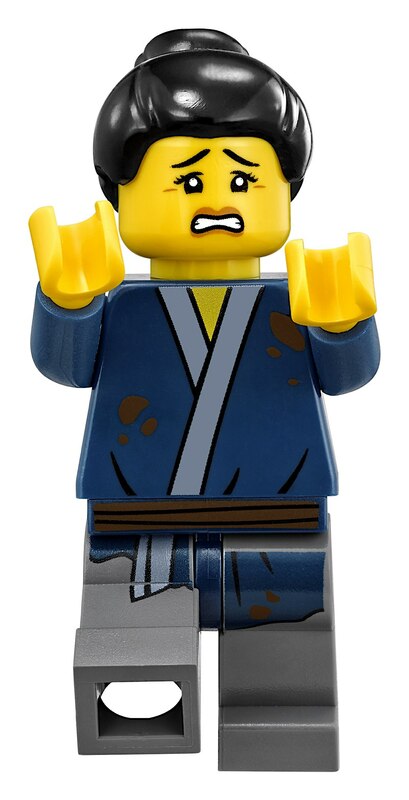 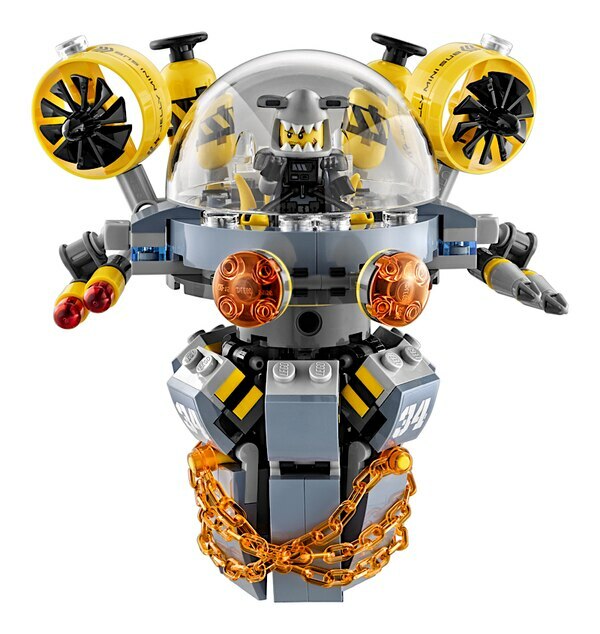 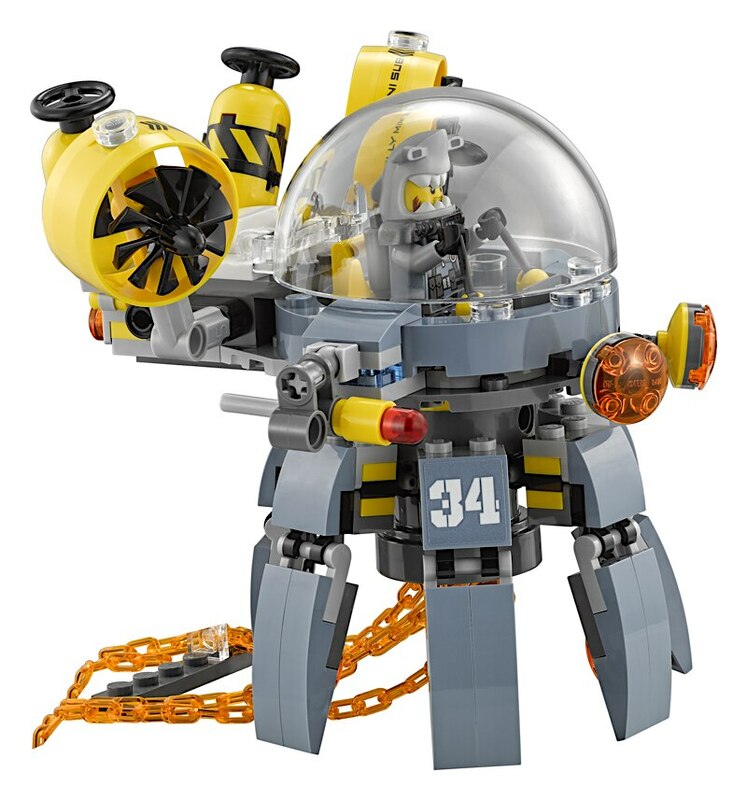 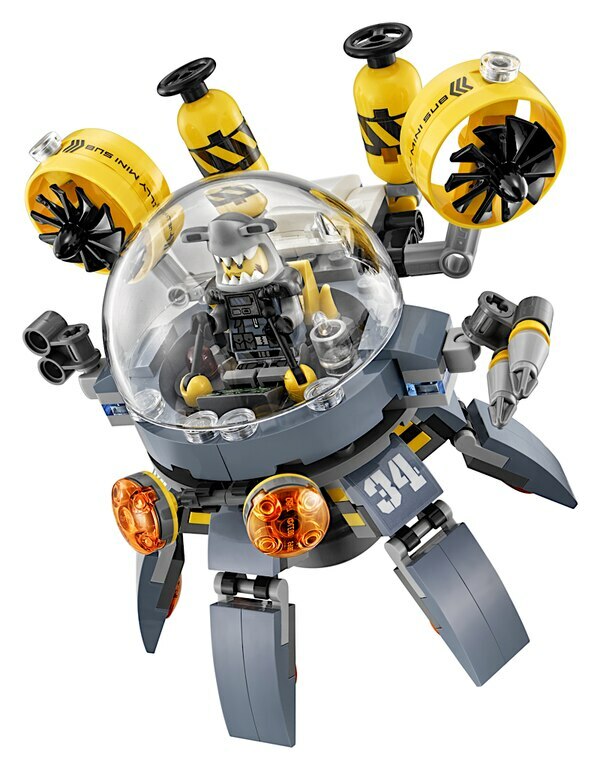 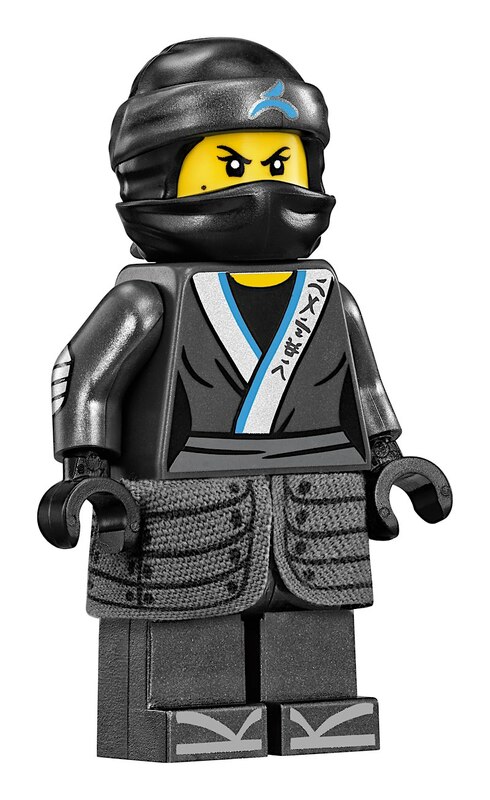 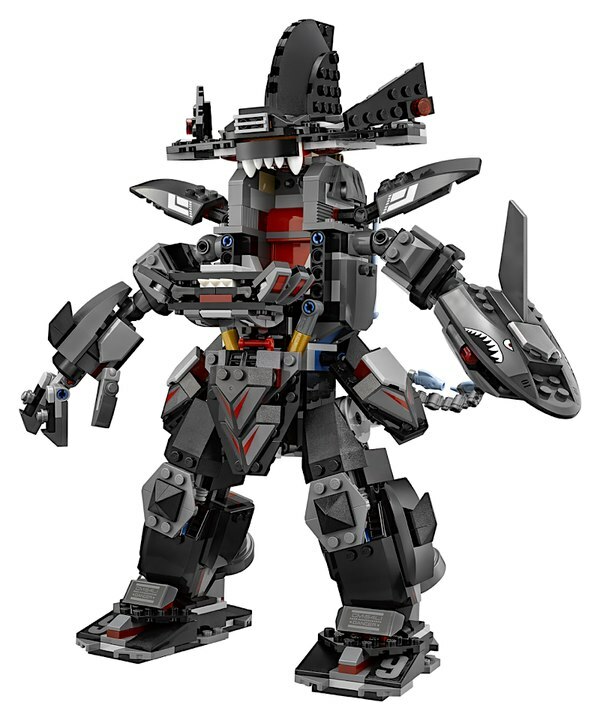 Help Lloyd protect civilian Pat from attack by Garma Mecha Man, featuring spring-loaded shark blaster, opening cockpit for Garmadon, ammo belt and fish tank. 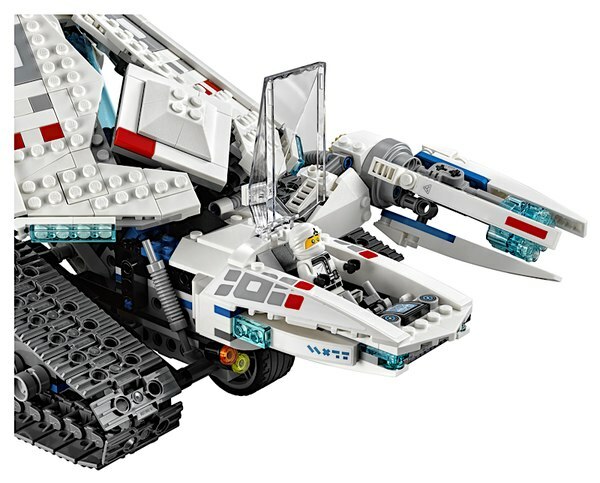 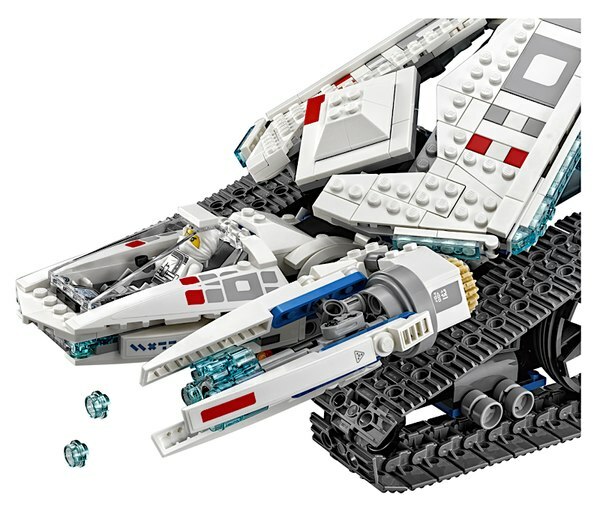 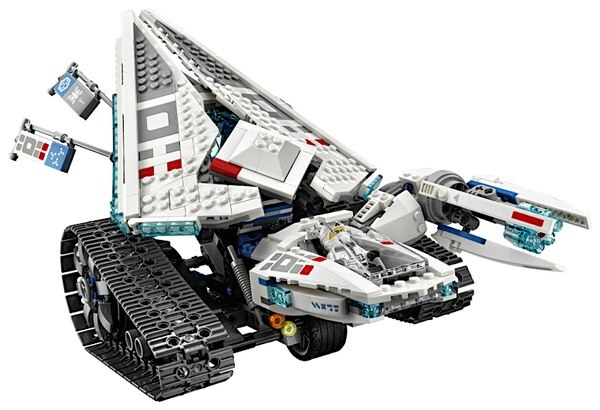 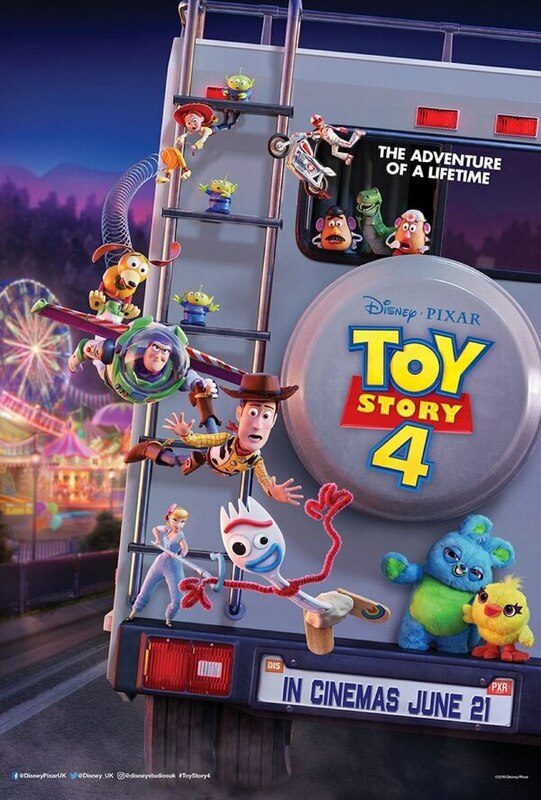 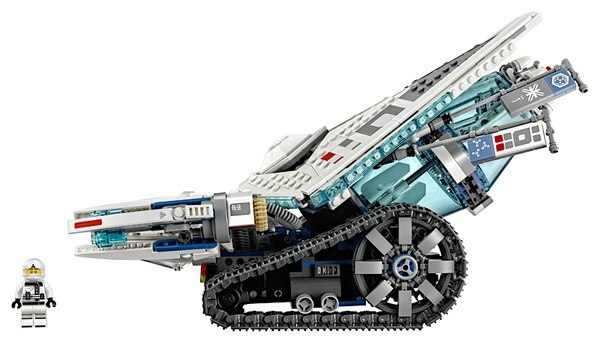 Help Zane save Patty Keys and Torben from the shark soldiers using this cool vehicle featuring an opening minifigure cockpit, big tracks, ice cannon with 6-stud rapid shooter, and a rotating ice container. 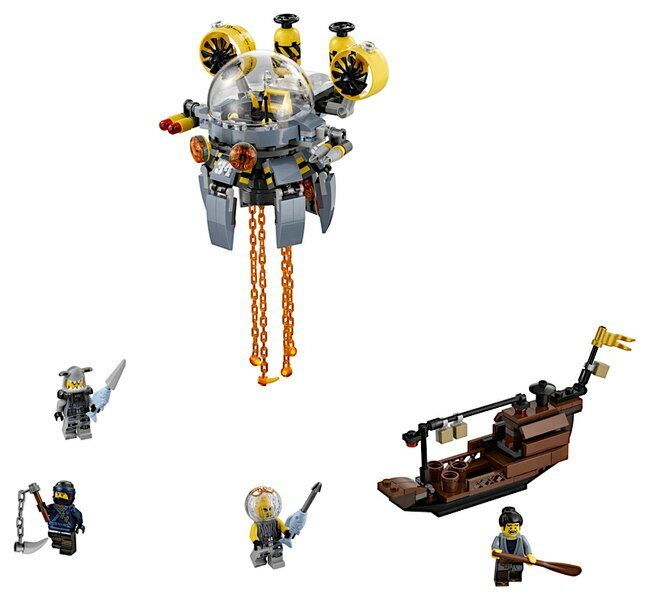 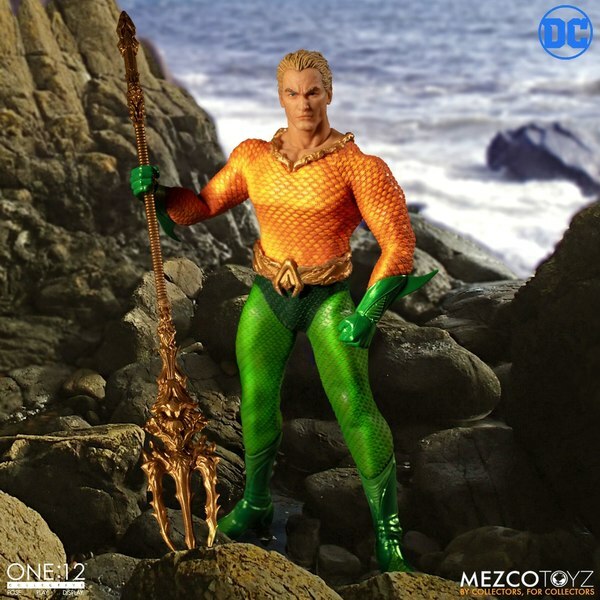 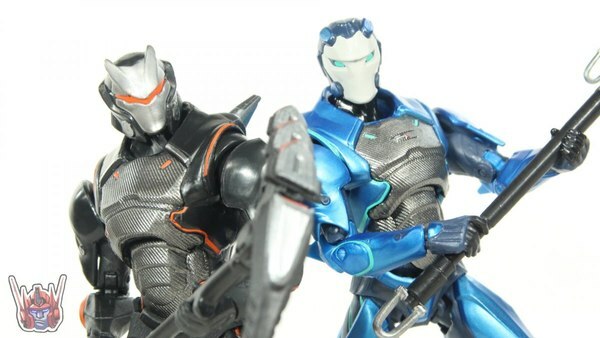 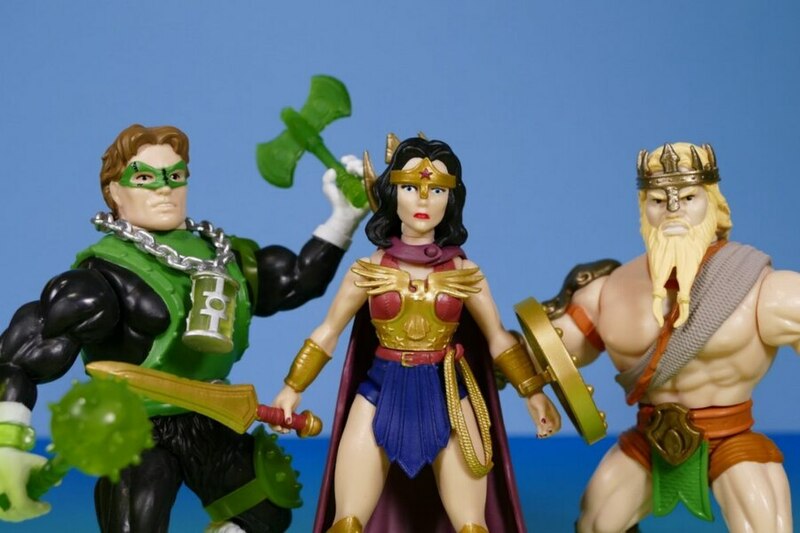 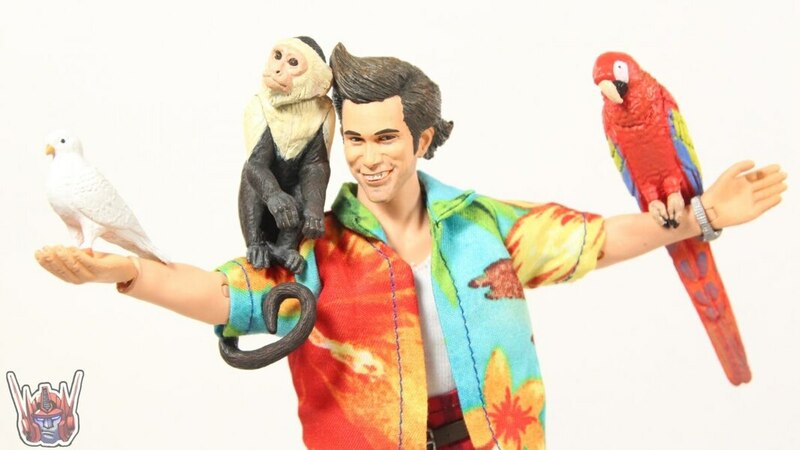 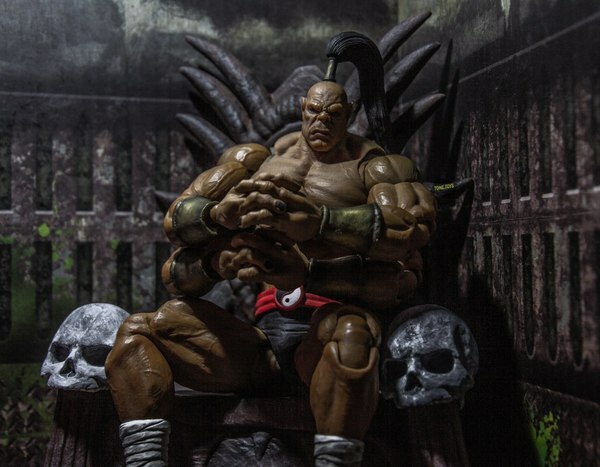 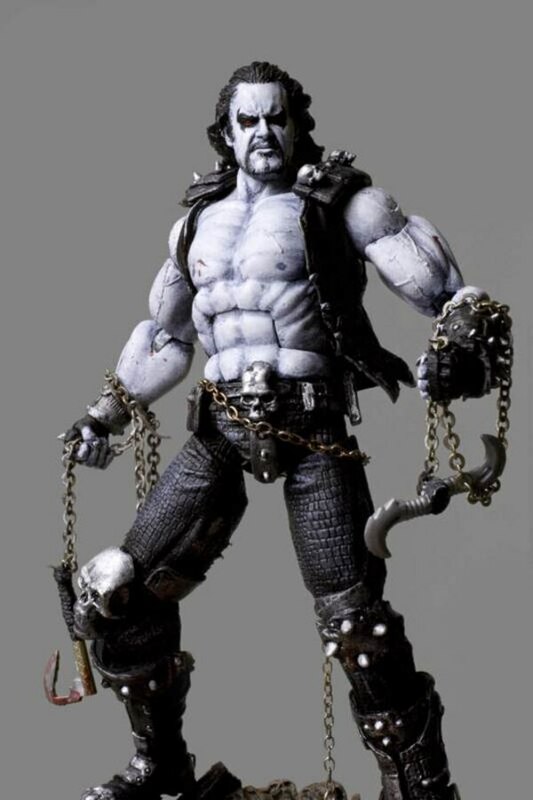 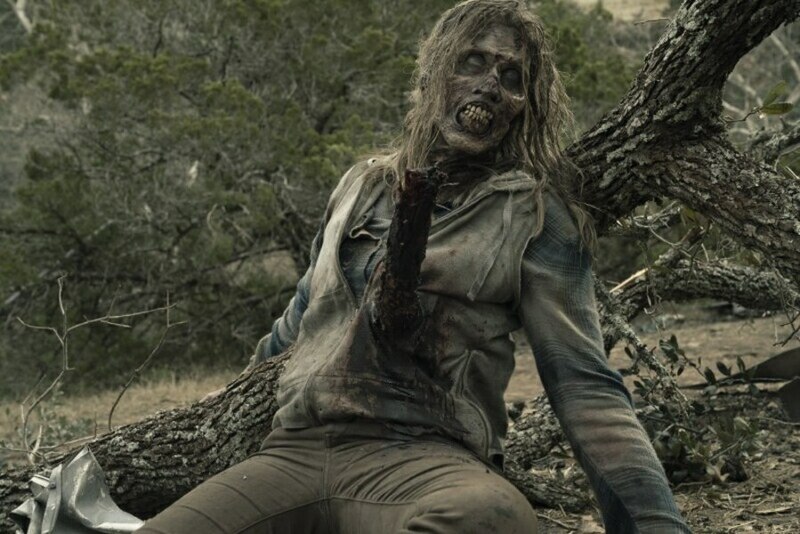 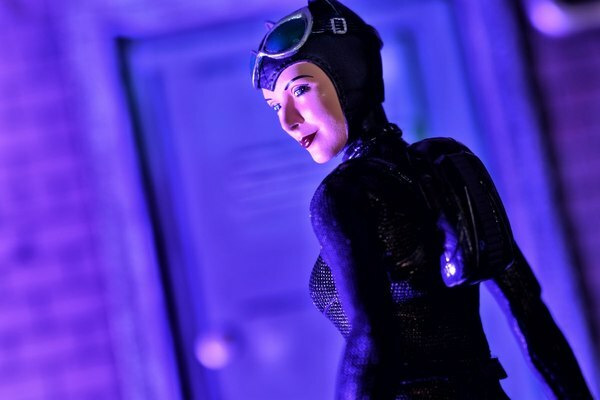 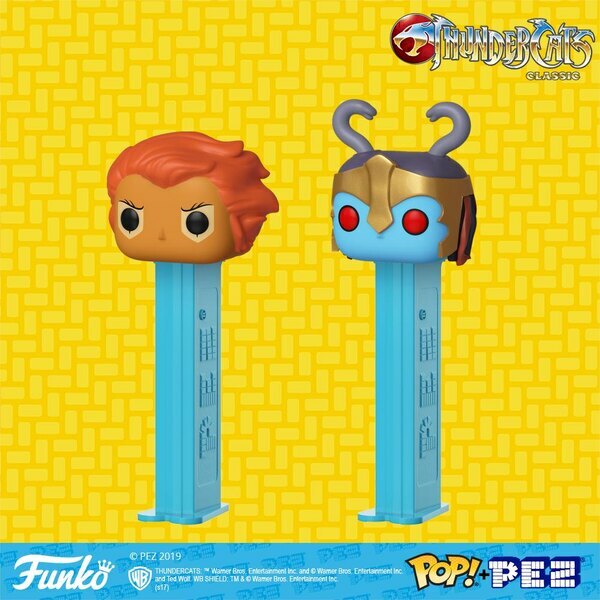 Check out more images for these sets below in our GALLERY!